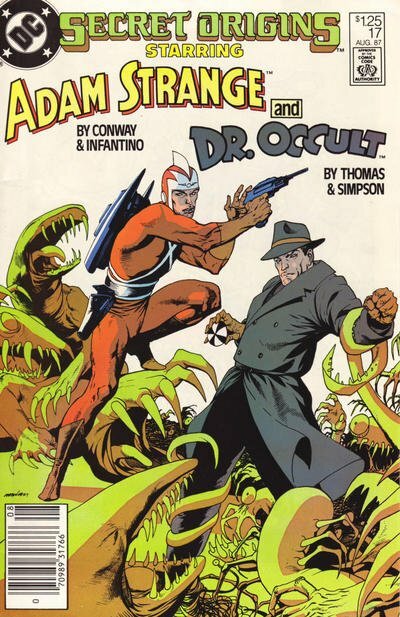 Click Here To See Secret Origins #17 Comic Book! 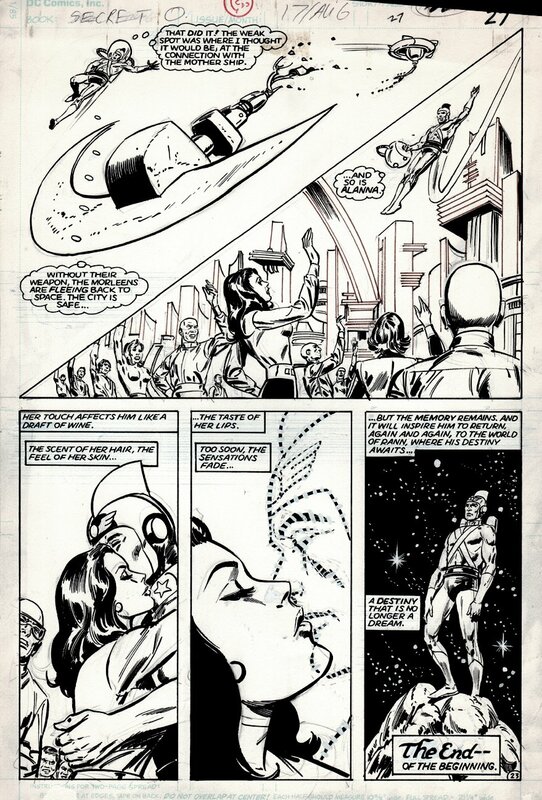 Check out this very nice page, which was penciled by 1 of ADAM STRANGE's EARLY DC ARTISTs: the great Carmine Infantino, with inks by the great Tony deZuniga, from the VERY SENTIMENTAL story titled: "The Secret Origin of Adam Strange!" This nice LAST page of this story features Adam Strange's ORIGIN where he is transported to Rann where he meets Alanna and Sardath and saves the planet! These last 3 panels are a tear jerker! ALL art on our website (including this one) are able to be purchased with VERY fair time payments, and trades are always considered towards "ANY" art on our website! Just send us an email to mikeburkey@aol.com and we can try to work something out.